PWRDF is grateful to the tens of thousands of Anglicans across Canada who have responded through prayer, action, and giving funds to allow us to respond to the devastating earthquake which struck Haiti on January 12 of this year. To date, PWRDF has received $2,144,332 of which $1,990,141 is eligible for matching by the government of Canada through the Canadian International Development Agency (CIDA). PWRDF is working to access the CIDA matching funds through a coalition called Canadian Churches in Action (CCA). CCA is a coalition of 9 denominational relief and development agencies which work together to respond to humanitarian disasters. After the earthquake hit on January 12, CIDA announced that donations from individual Canadians would be matched, dollar for dollar, for earthquake relief in Haiti. That money was put aside into a “pool” of $220 million. Eligible organizations, like PWRDF, were invited to apply for funds from that pool for work in Haiti around relief and reconstruction. Initial applications were due on February 16, 2010. At that time, CCA put forward a $1.9 million proposal for a program focused on essential non-food items and materials for temporary and transitional shelter including tool kits, kitchen kits, hygiene kits, tarps, rope, and metal roof sheeting. The project would also provide safe, reliable drinking water and sanitation services. CIDA informed the CCA on 18 March 2010 that the bid had been turned down. 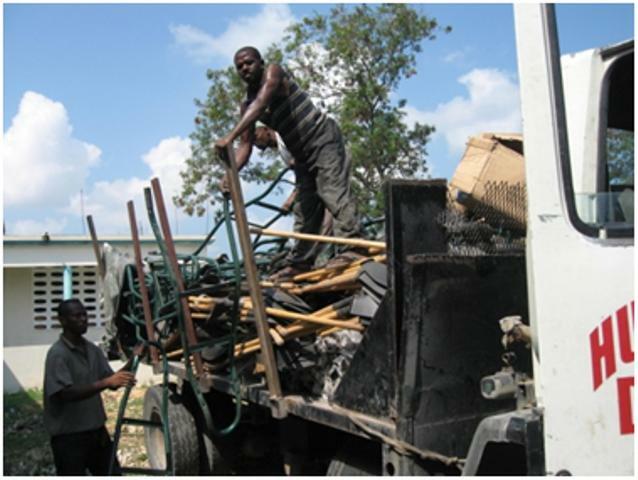 CCA has been in regular communication within the group and also with CIDA Officers in Canada and Haiti. The CCA is currently working on a larger project proposal in the $10 million range which will be focused on permanent shelter; water and sanitation; education; and livelihood and economic recovery. CCA began in early 2005 when four church based agencies; Presbyterian World Service and Development (PWS&D), United Church of Canada (UCC), Mennonite Central Committee Canada (MCCC) and the Primate’s World Relief and Development Fund (PWRDF) applied to CIDA for $6 million of matching funds following the tsunami which struck Asia on December 26, 2004. These four groups called themselves “PUMA” (Presbyterian, United, Mennonite, Anglican). PUMA successfully completed a 3-year project of reconstruction and rehabilitation in India.Over the last several years, PUMA added more members, including ; the Pentecostal Assemblies of Canada (PAOC) and Christian Reformed World Relief Canada (CRWRC). In 2007, CCA was formed as it exists today. CCA and its predecessors have worked together in response to the tsunami, the South Asia Earthquake in 2005, the Sichuan earthquake in China, cyclone Nargis in Burma and a number of other disasters. Each of these projects involved CIDA matching funds, although not every project CCA proposed was accepted by CIDA.